Hello! 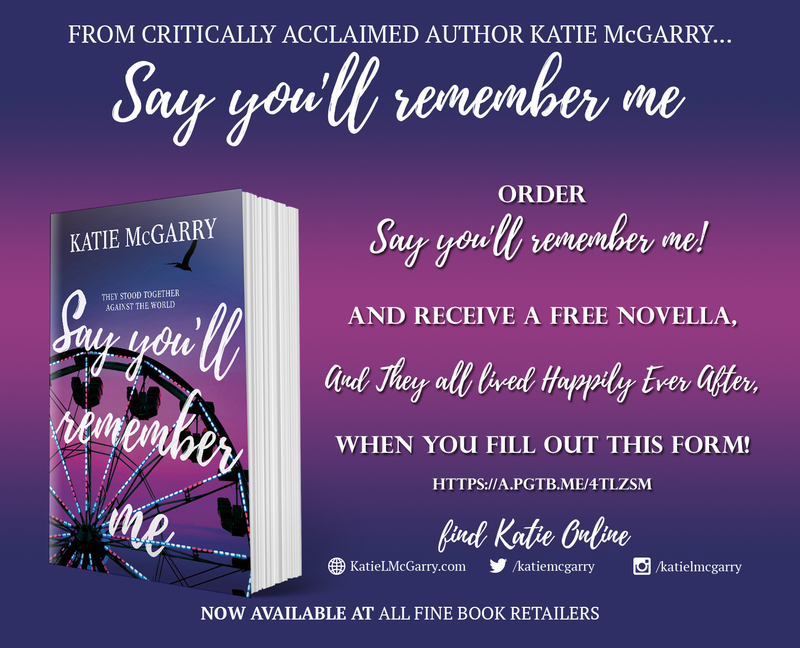 Welcome to the next stop on the Say You'll Remember Me blog tour hosted by Inkslinger PR. I'm really happy to share my thoughts on this book with you, as well as an excerpt from the story! 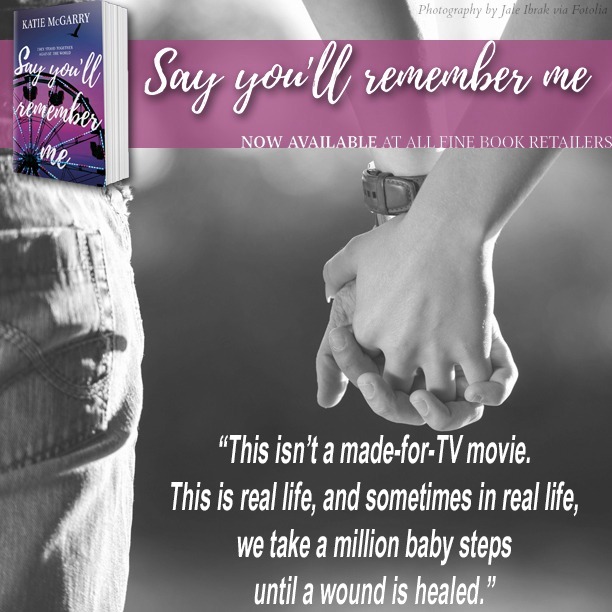 Say You'll Remember Me was released on January 30, 2018 and is available at Amazon, B&N, iBooks, Google Play, BAM and Kobo. Synopsis (via Goodreads): "Doesn't matter who did it. Not anymore. I did the time. It's over." "I hate the word beautiful. Hate it. The word beautiful somehow gives the world permission to make wrongful assumptions about me, like that I don’t have a brain. Beautiful somehow gives men permission to say the phrase as a secret password in my direction, and I should therefore fall at their feet. Beautiful makes people believe they can say anything they want about or to me and that I shouldn’t be angry. Nothing in the universe could be more wrong." Katie McGarry knows how to tell a story. She's able to capture my attention from page one and never let it go. I was fascinated with Drix and Elle, their friends and family, their lives, and the two totally different worlds they lived in. I was able to relate and make connections with every single character, which is pretty effing amazing. My heart hurts for Drix and the life he's lived. I cannot even begin to image what someone in his situation has gone through. This particular story might be fiction, but the concept is real. There are too many people suffering and barely getting by, our justice system is flawed, and there are so many kids out there that need help. They need someone to be there for them and help them find a better path in life. Someone needs to believe in them and what they can do. Everyone has something to offer the world, and they shouldn't be dismissed or made to suffer because of past mistakes. A person can go to jail, serve their time, and come out a better person. They just need to be given a chance. Elle's dad and his program give Drix that second chance. I wish there were more programs like it in the world. If people cared more about others than themselves, I think we'd live in a very different reality. Elle is incredibly strong. She wants to make the world a better place, and she thinks honesty is the only thing that should ever be given. I hated how desperately she wanted to please her parents, even at the expense of herself and her happiness. No parent should ever ask their child to change for someone else. I was so angry every time her mother pressed her to alter her appearance in some way. A parent should just love their child and accept the person they see in front of them. Yes, children need guidance and all that, but they also need to be loved, appreciated, and wanted for who they are. Drix has a wonderful family, and not all of them are blood related. I ached for Dominic and Kellan, Holiday, Axel and Marcus. I would love for any one of them to have their own story. They've all been through so much in their short lives, and they still try to do what is right and always put family first. It was eye-opening to view life from their different perspectives, and I cannot fathom how a parent could be so cruel or neglectful. I thought Say You'll Remember Me was a wonderful story that highlights significant issues in our society. Drix and Elle had very different lives, problems and expectations, but they managed to find love and happiness. Their relationship was passionate, encouraging, and they gave each other what everyone needs: hope. Order SAY YOU'LL REMEMBER ME, register and you will receive AND THEY ALL LIVED HAPPILY EVER AFTER, a novella that features your favorite Pushing the Limits and Thunder Road characters! I had kind of drifted away from her books for a while there but I've heard this one is more like her early books so I might give it a try. This is my second book by her since returning to blogging. Nowhere But Here was the first, and while I enjoyed it, this one was infinitely better. I could relate so much to these characters. This one sounds like the perfect February Valentines book. I love the cover! I was happy to be involved! Thank you! I love Katie McGarry, and this was a wonderful addition to her work. I am with you! I would love for each member of Drix's family to get a book. They each have a story to tell, and I would love to hear it. 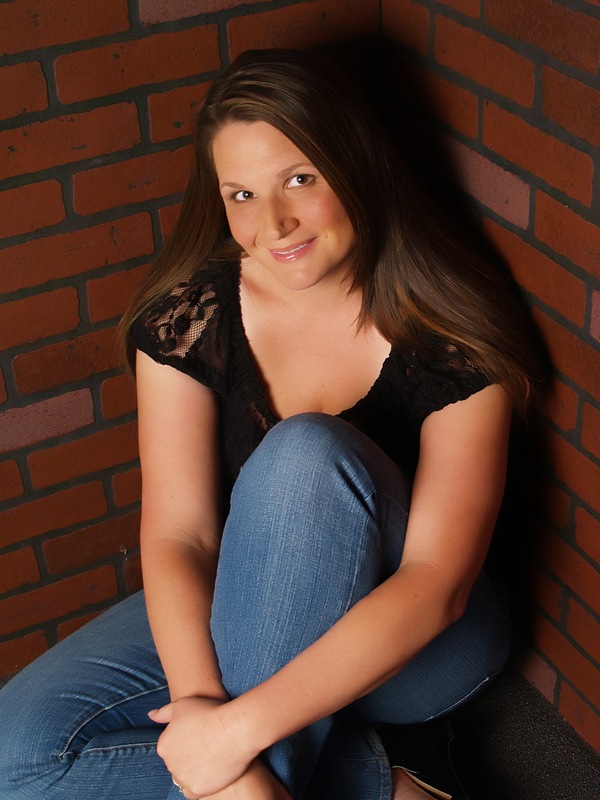 This was my first blog tour since coming back, and I couldn't be happier with the book! I really hope she makes this a series with the other members of his family. I haven't read much of Katie McGarry's works but I'm really lookong forward to this one. I've only read Nowhere But Here, lol. Wonderful review! I just love this author and can't wait for this one, it looks so good! She hasn't disappointed me yet! I hope you enjoy it as much as I did. I really need to read more books from her. This sounds so good! Great review! Thank you! I think you should start with this one! Oh wow, this is such an awesome review. 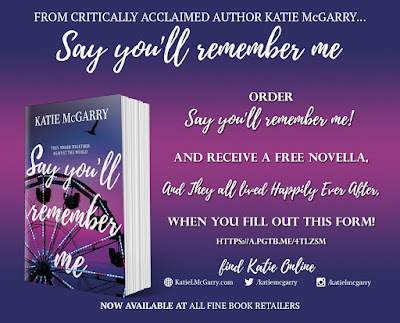 I've only read one book by Katie McGarry but I highly enjoyed it and I really need to pick up her other books. I'm so glad this one was a hit for you! I know many other reader friends who enjoyed it as well, so I definitely need this as my next contemporary fix. Thanks! If this is your next contemporary, I doubt you'll be disappointed! Definitely agree with you on this book! I think it highlights a lot of things that we get wrong in our society. A great read! I've enjoyed her other books, but this one felt more grounded. Drix isn't the only wrongly accused person in jail or prison. Our system is flawed and more needs to be done to remedy the situation. There are too many innocent lives being thrown away because the courts cannot afford to hire an appropriate amount of lawyers to cover all of their cases. More often than not, people need a court-appointed lawyer. Any other option is too expensive. I've seen this around, but didn't know what it was really about until now. It does sound like an engrossing novel. I love how the author contrasts the two leads, but still finds a way to bring them together. You have me very curious. Great review. Thank you! I loved how nonjudgmental they were even though they came from two entirely different backgrounds. They never saw the other as more or less, and they connected because they could relate emotionally. I'm glad I was able to put it on your radar! It's definitely worth reading. She is a talented writer. I read Pushing The Limits and loved it. I have yet to read anything else by her only cause I am a mood reader. I'm also a mood reader, lol. I can never plan what I'm going to read because it changes from day-to-day. It's also why it takes me a little longer to get through some books. I'll start them and lose the mood I was in. It's not that the book was bad, it's just my brain is weird. This one sounds interesting! I love that the characters have deeper issues that seem realistic to today. I think a lot of people will be able to relate to these characters in some way. The situations might not be exactly the same, but the struggles are relatable.